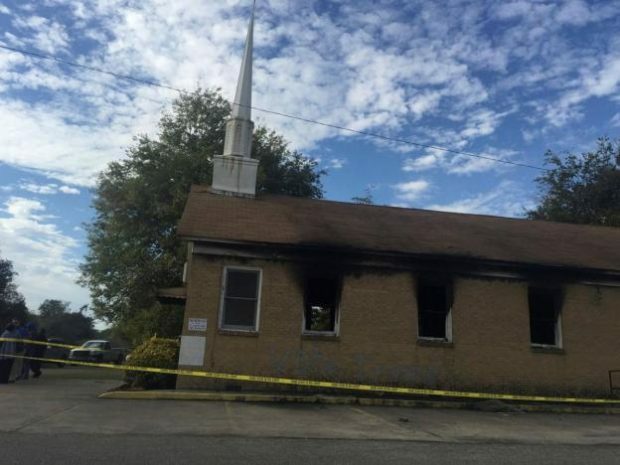 McClinton allegedly set fire to Hopewell Missionary Baptist Church, where he is a member, on Nov. 1, a week before the election. The fire destroyed 80 percent of the church. A GoFundMe account raised more than $240,000 to repair the facility. “We do not believe it was politically motivated. There may have been some efforts to make it appear politically motivated,” Mississippi Insurance Commissioner Mike Chaney, who also serves as the state fire marshal, told The Associated Press. Clarence Green, a bishop at Hopewell, told the AP that McClinton is a member of the church. “If there is something like the Ku Klux Klan or the Aryan Nation…we look at that as domestic terrorism,” he told the AP at the time. The case appears to be yet another hoax targeting Trump supporters. Several Muslim women who have claimed since the election that they were targeted by Trump fans because they wore hijabs have been charged with making false reports.